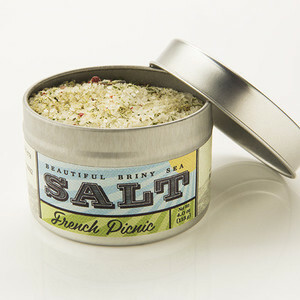 This mustard and herb salt blend will brighten any dish. Go ahead...be creative! Vive le vous! Learn more about the masterminds behind Beautiful Briny Sea here!